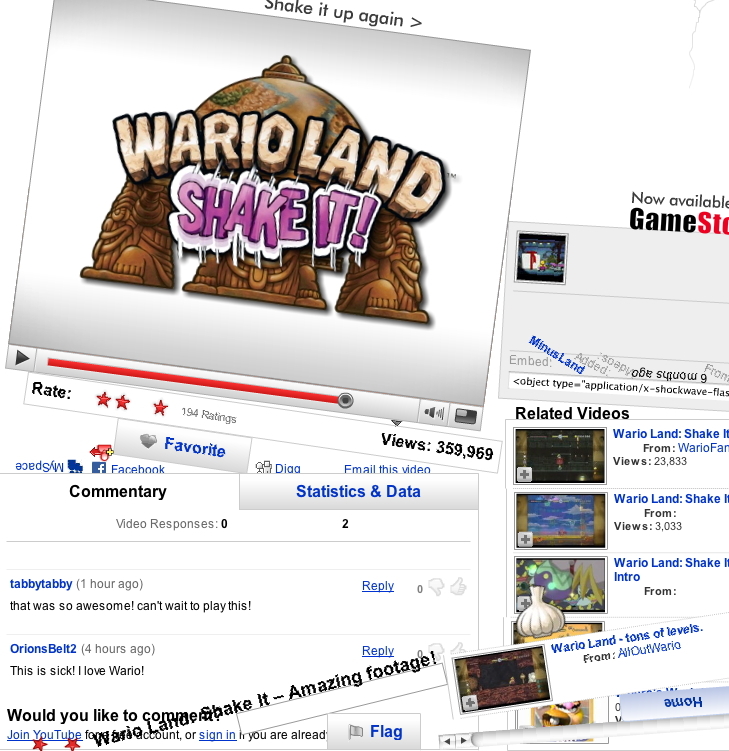 My sister, who's way into video games, sent me to YouTube.com/ExperienceWii, where users can watch footage from Wario Land: Shake It!. The :45 video had major nostalgic appeal. I remember playing Wario games on Super NES and even on Virtual Boy -- where, in addition to wreaking havoc on a titillating infrared world, Wario also wreaked havoc on my vision. But wait! A few seconds into memory lane, some peripheral page action attracted my attention. I ignored it. 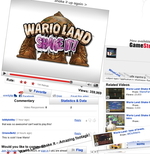 Moments later, Wario's punches, leaps and stomps completely totaled the YouTube i-face. Didn't expect that. Nice surprise, like the first time I watched Animator vs. Animation. Also, awesome emotional transition from old medium (old-school console footage) to new (manipulating YouTube, breaking-the-fourth-wall-type-stuff). We have been passing this around the office. Good example of how a YouTube campaign can still get great response numbers when all you are really providing is a commercial.